Sign up to your newsletter and get an update whenever we publish anything – that’s once every few months. Blog gets about 50k pageviews per month. Google ads is generally the easiest, fastest and cheapest way to advertise on this blog. Set up your display campaign, and then use managed placements and add nowescape.com. 1. You would propose a set of topics, and we get to decide which one we go forward with. 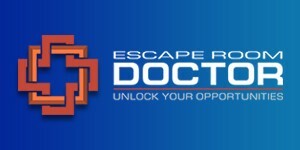 It can’t be about your business unless there is something unique you have (most expensive escape room, first escape room, biggest chain, etc). Topic has to be interesting to escape room owners and to-be owners. Content should be interesting and contain fresh ideas. 2. You would produce the content according to the following guidelines: Minimum 2000 words, minimum 5 original images. Short sentences, many headlines, paragraphs of maximum 3 sentences each. 3. At the end of the article, you can add 1 paragraph “About the Author” section where you can describe your business. 4. Our editor edits the text, and you get to see it before it gets published. The article will get published on our blog, with a follow link to your website. 5. You can place the summary on your blog or website with a link to the full article, but you can’t place the full article.